"The Independence Wave". September 2017. The drive for Catalan independence captured the world's attention from September to October 2017 when a banned referendum from the Spanish government met a heavy police crackdown. Following this, a unilateral declaration of independence was made and brought a historical and the biggest contemporary political and social crisis in the region. 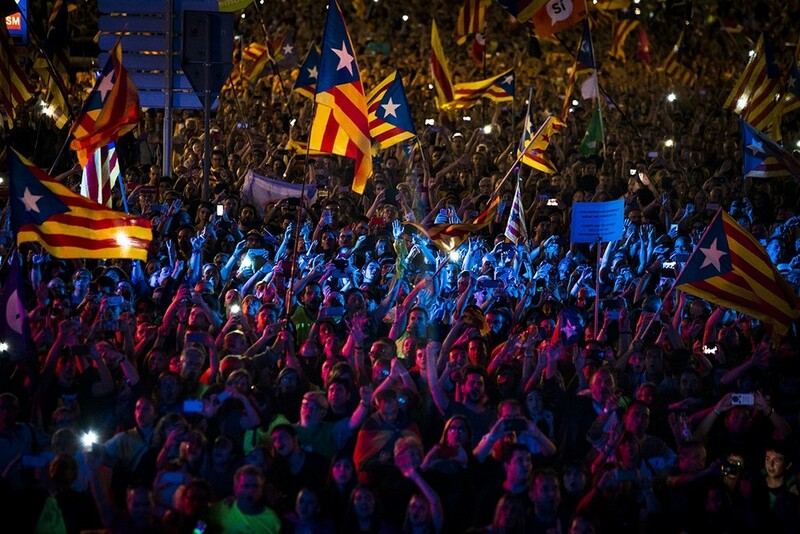 In this picture, around 80.000 people according to the organizers attend the campaign closing of the Catalan referendum.